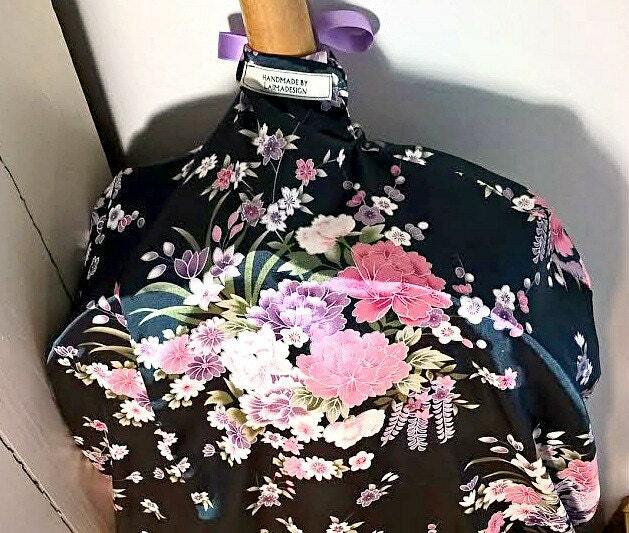 Elegant cape for your cello! 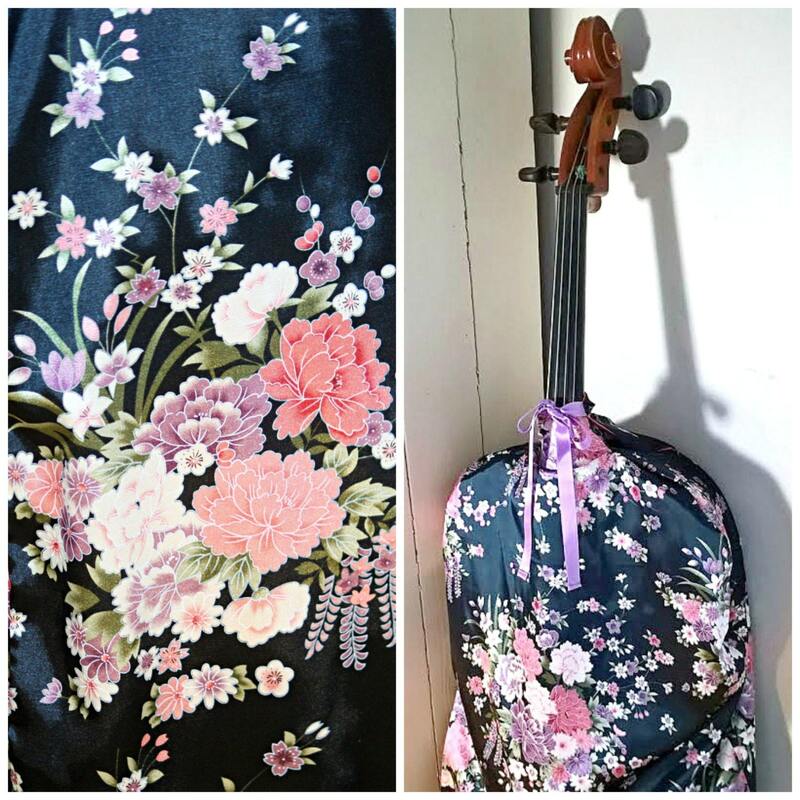 Handmade by me in beautiful silk fabrics - make sure your cello is comfortable and well dressed inside the case! Silk gives a sence of luxury and beauty, but not only that - silk is very good to have around your instrument since it has a good moisture regain, so it will help protect your cello. 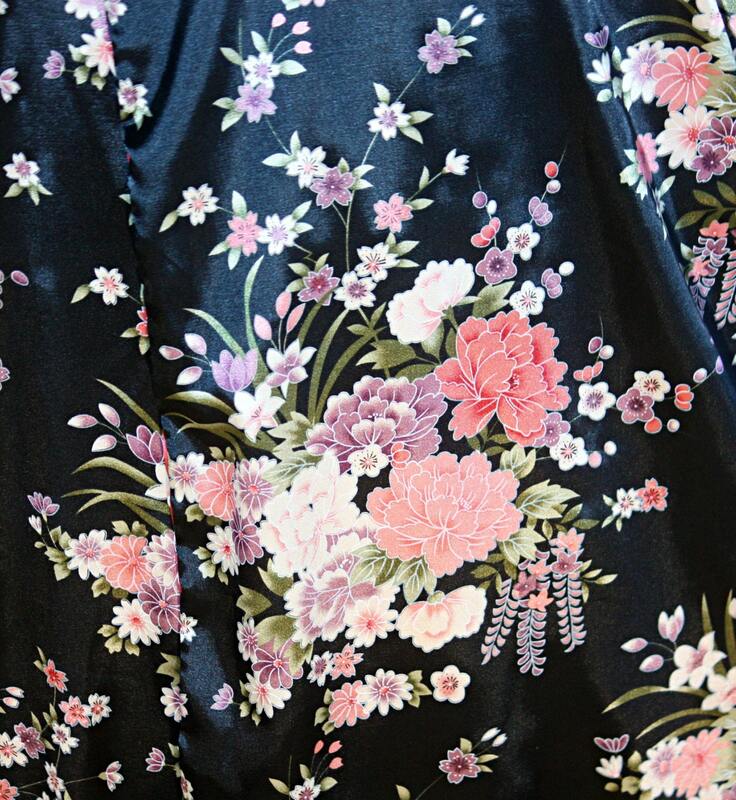 Black silk full of flowers! This silk fabric is a bit thinner than the heavier silk brocades in my shop. 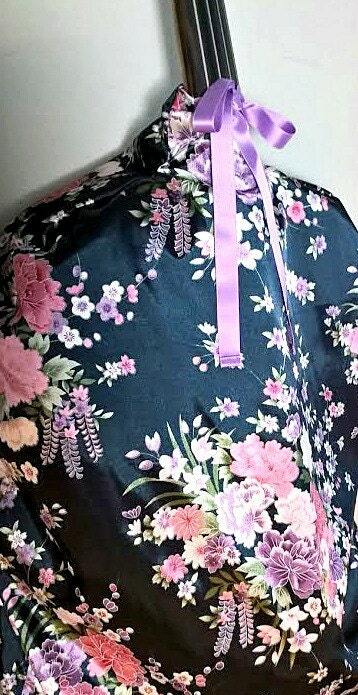 Lined with rose colored charmuse silk. Purple ribbons. This cape is ready made! The Cello Cape is made of beautiful silk and lined with very soft and smooth silk. There are no seams inside the bag where the cello could get stuck. A treat for your cello - and yourself!